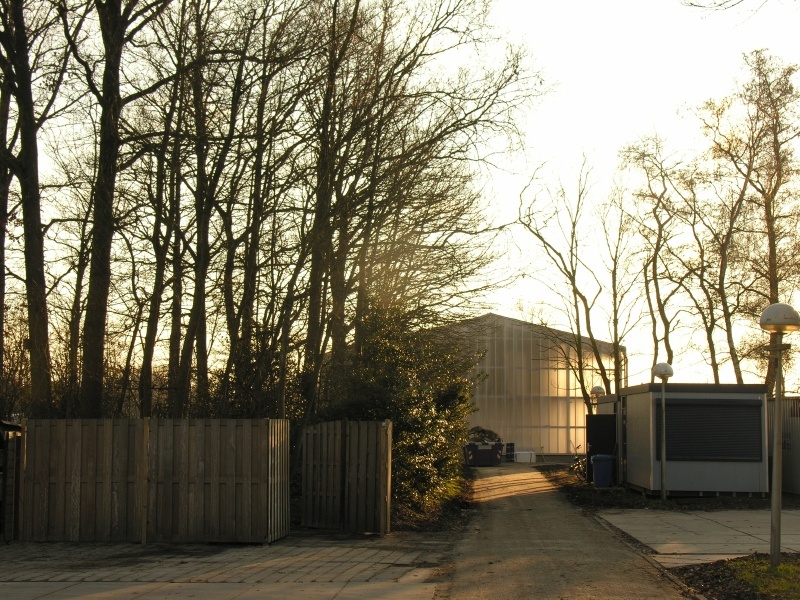 GVW De Vrijbuiter, Clubhuis.Oud Loosdrecht, The Netherlands. 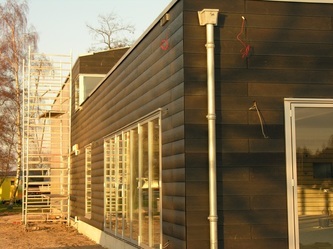 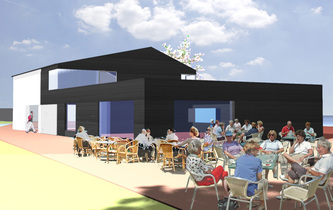 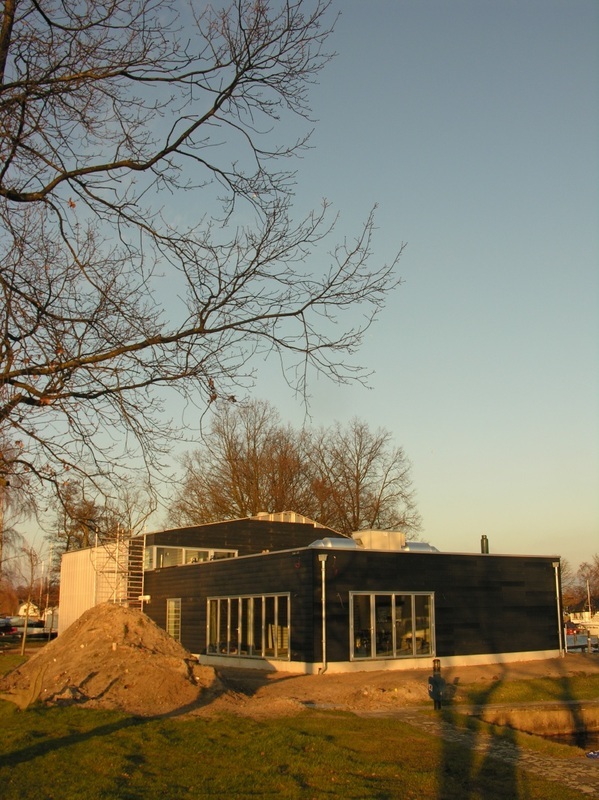 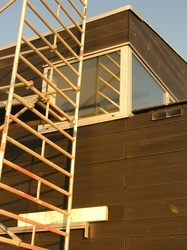 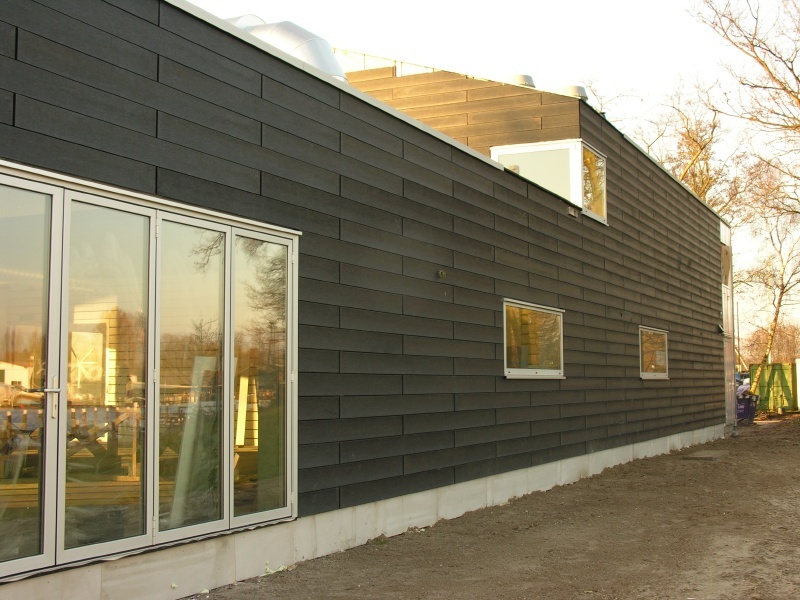 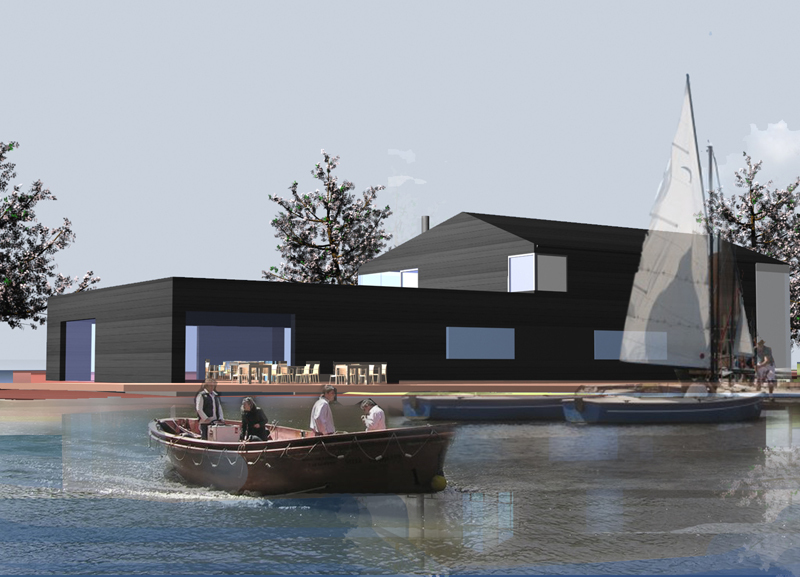 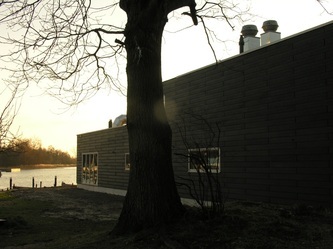 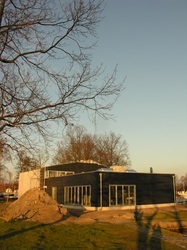 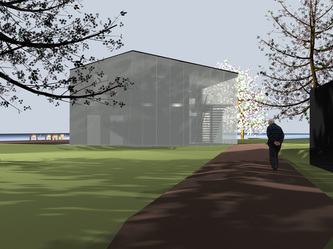 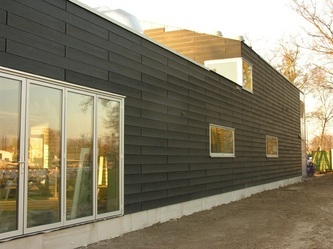 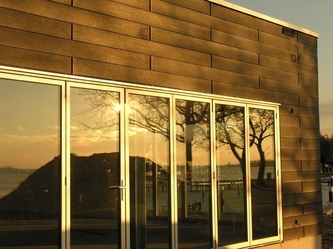 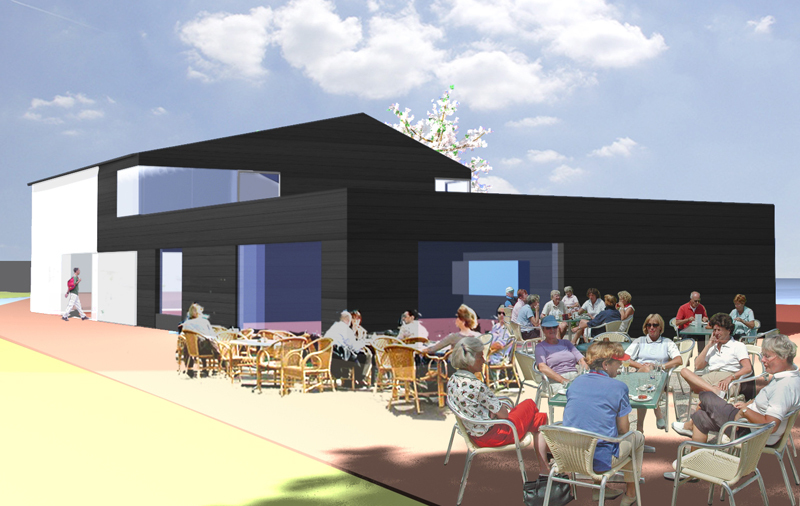 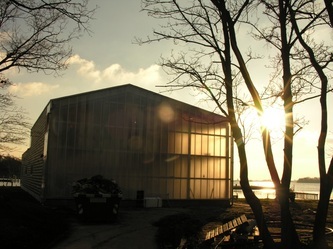 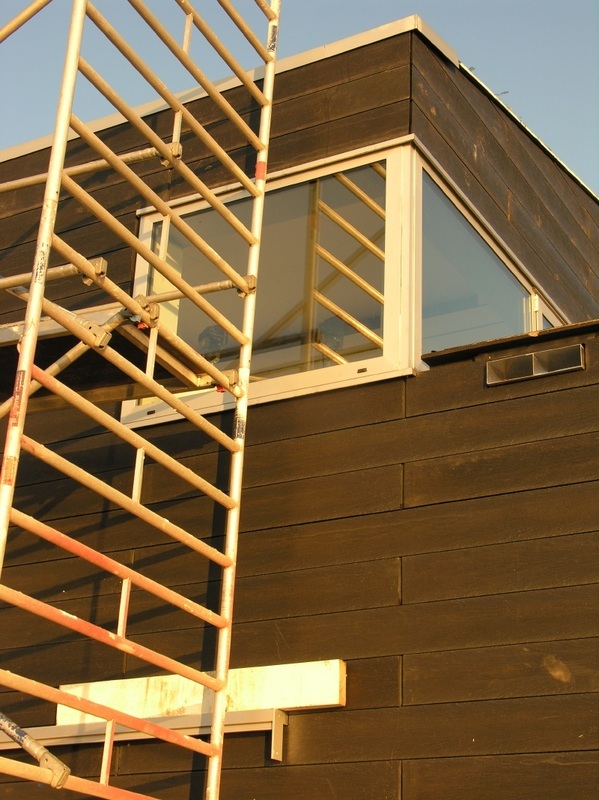 A compact building for De Vrijbuiter to be used as club house. 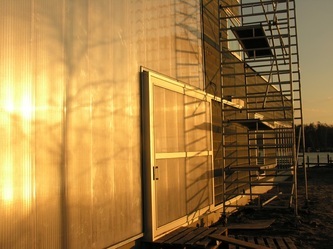 The program of 400m2 comprehended a diversity of functions. 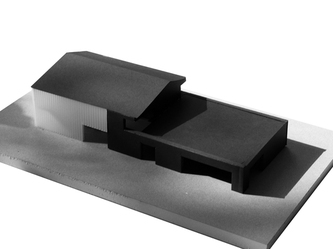 After reflecting on the role of a building as a club housewe decided to invert the common plan of this kind of buildings. 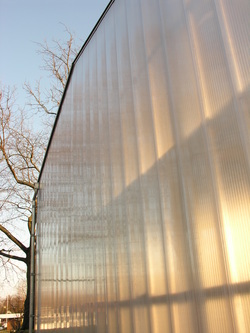 This was the result of thinking that the building is an extension of the outer space that it should serve. 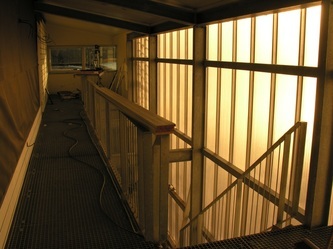 In this way all functions in the building had to be accessible from the outer space, instead of having an main entrance. 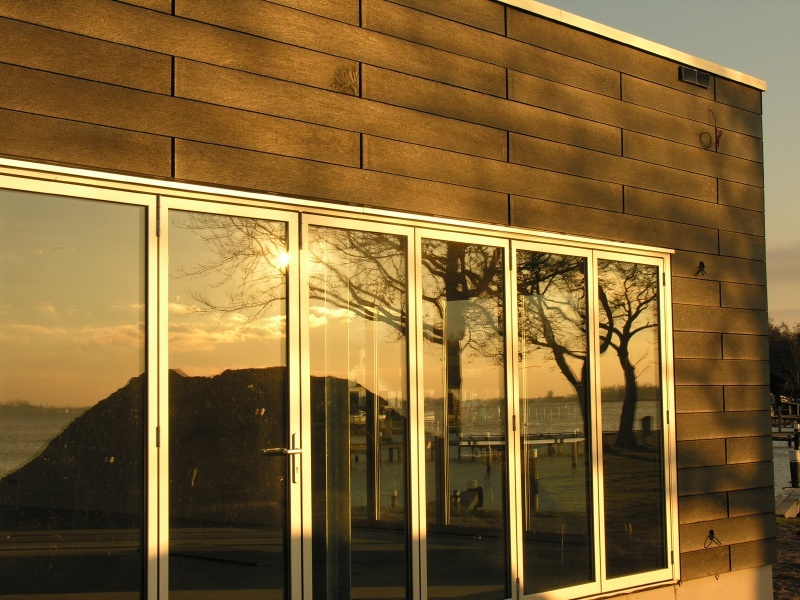 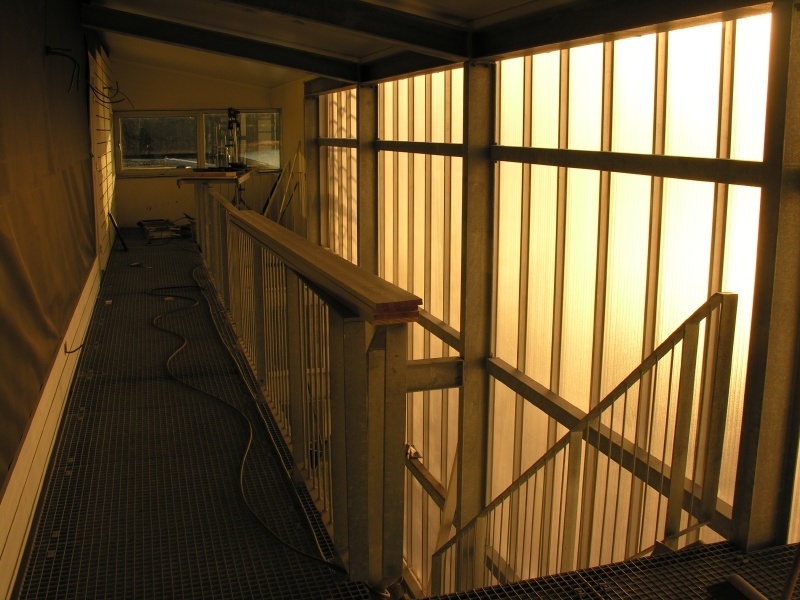 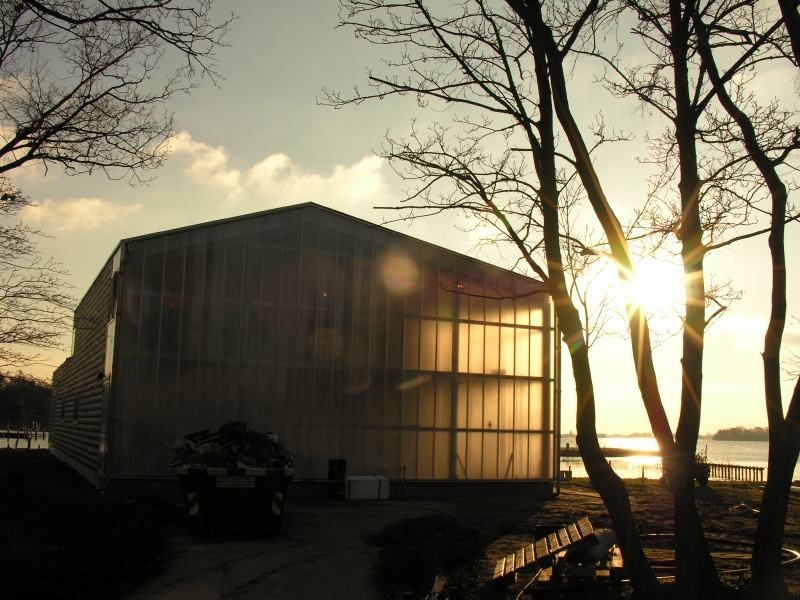 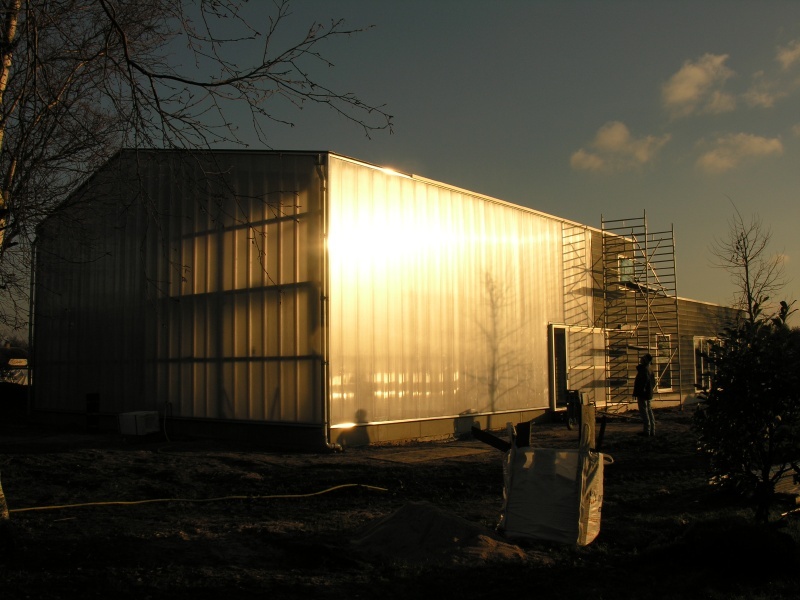 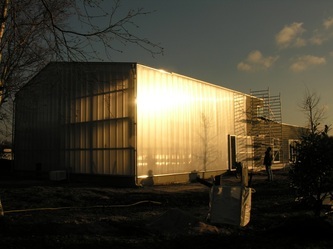 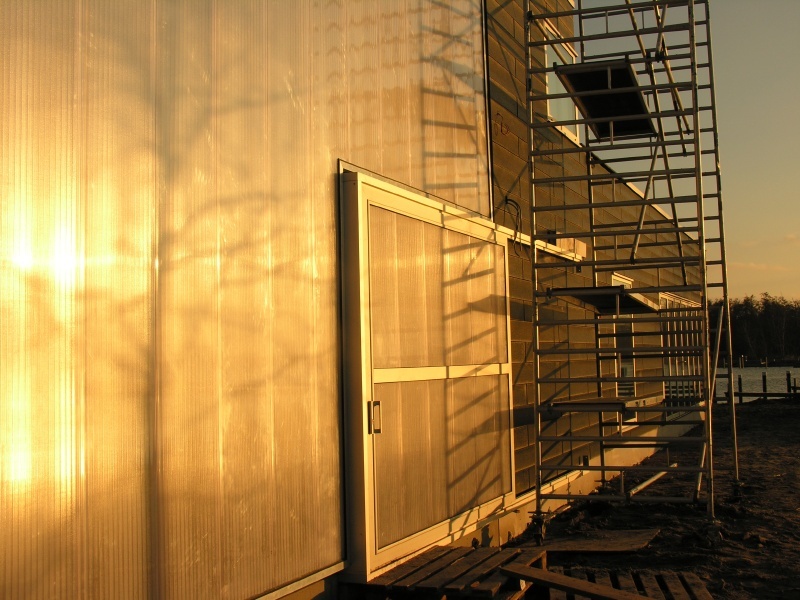 To make it possible in a compact building, we created an open gallery covered with polycarbonate plates inside the construction. 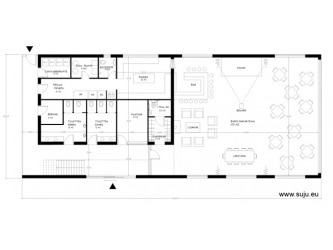 The building is in fact split in two blocks: the lower one is the social room, and the other on two floors containing the other functions. 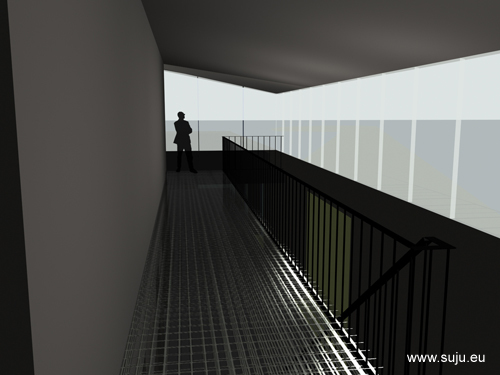 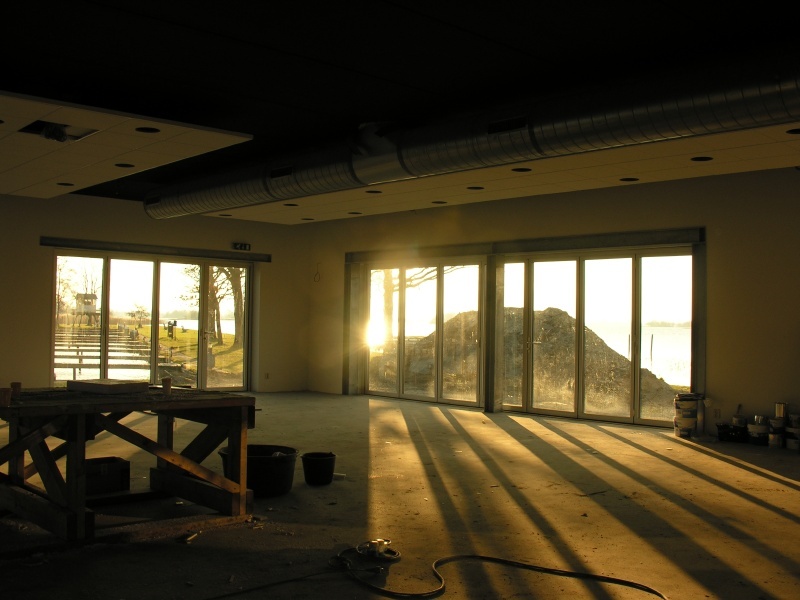 From the gallery you have access to the social room, the offices, the locker room, toilets, etc.